Cheap Dedicated Servers » Blog Archive » Dedicated Hosting or VPS Hosting? ← What Configuration for Dedicated Server Do I Need? Posted: July 4, 2012 | Author: Anton | Filed under: Know How |Leave a comment Web Hosting – How to Choose? Are you lost in the market of web hosting offers? Don’t worry! We can easily help you to find your way. If this article is now before your eyes, you seem to already know some key facts about hosting, so let’s not deepen in the basics. The cheapest option most proper for start-up projects is Shared Hosting. However, there are two other common types of packages that work well with medium of big projects. Often, the developers simply do not know, which of the options will be better for their business. That’s why it’s worth reading our article! In it we’ll uncover some secrets of VPS Hosting and Dedicated Hosting. Make sure, it will help you make the correct decision. Have you ever dreamed of obtaining total control over a server? Today your dreams may come true. All you need is to purchase a Dedicated Hosting Package. This option will give you a whole big server with all its stuffing, and you can do whatever you like with it – except crashing the machine, of course. For this you need to purchse an unmanaged package. Apart from total control over the server, you will get great specifications and service quality. If you purchase a Dedicated Server, no other clients will be hosted on your machine. This opens before you an opportunity to adjust the server to the needs of your project very accurately. Fine adjustments make your sites run better, but also require special skills of an experienced web master. Note that Unmanaged Dedicated Servers (those controlled by you) also cost less, so you can get back the web master costs in short prospect. You project doesn’t need that many adjustments? OK. Many companies have prepared Managed Dedicated Hosting for you. In this case just pay the money, and the experts of your web host company will adjust everything themselves! Sounds nice, but you’ll have to pay for it a bit more. In any case, we advise you to check with an expert, if it’s worth ordering an Unmanaged Dedicated package. VPS Hosting is another popular option available for well-developed web projects. If you choose VPS Hosting, you will also get a nice set of services, but at a very reasonable price. However, by purchasing a VPS package you get only a part of a server, so doing some accurate adjustments at it will be impossible. 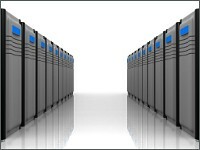 One of the biggest advantages of VPS hosting is its price. You can find offers with really interesting conditions at an unbelievably low price. However, you’ll have to check every attractive offer, as it may cover some underwater stones. For this you can find some reviews of different web host companies on the web. Both VPS Hosting and Dedicated Servers have many advantages, but purchasing every of them is reasonable only in a range of certain cases. As you have already understood, these options are both good for the projects that have been running for quite a while. However, if you are sure that your newly-born start-up project will be successful very soon, it is also good to order a high-level hosting package at once. So, what are the best conditions for buying a Dedicated server and a VPS Hosting package? If your project is growing very fast, your best choice will be a Dedicated Server – it will provide you the maximal amount of top-class services, a possibility to adjust the server for managing big flows of users, and top-level service provided by high priority in customers support. If you have a project that grows step by step, it will be more reasonable to purchase VPS hosting. It will cost less, and also give you really decent set of services. Also, by purchasing a VPS package you don’t need any special costs for supporting and administering your server – this all will be done by the web host company.